Flossie Wong-Staal is a woman who has made tremendous strides in the fight against AIDS. She is a Chinese-American virologist and molecular biologist. She was the first scientist to clone HIV and determine the function of its genes, a major step in proving that HIV is the cause of AIDS. From 1990 to 2002, she held the Florence Riford Chair in AIDS Research at the University of California, San Diego (UCSD). 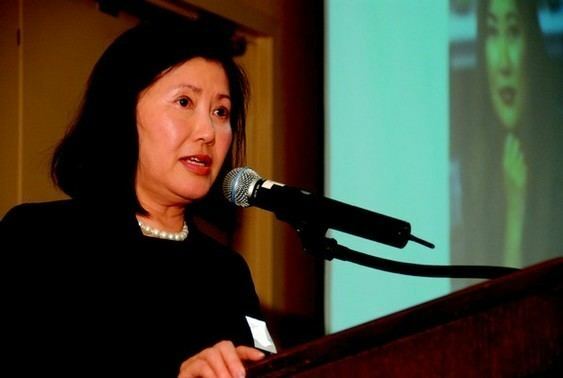 She was co-founder and, after retiring from UCSD, Chief Scientific Officer of Immusol, which was renamed iTherX Pharmaceuticals in 2007 when it transitioned to a drug development company focused on hepatitis C, and where she remains Chief Scientific Officer. Flossie Wong-Staal was born originally as Wong Yee Ching on August 27th, 1947 in Guangzhou, China. Wong-Staal was among many Chinese citizens to flee to Hong Kong after the Communist revolution in the late 1940s. During her time in Hong Kong, Wong attended a girls’ Catholic school taught by British nuns where she excelled in science. Throughout her time at the school, she was encouraged by many of her teachers to further her studies in the United States. Her father chose the name Flossie for her after a massive storm that had struck their area around this time. At the age of eighteen (18), she left Hong Kong in order to attend the University of California, Los Angeles where she pursued a Bachelor of Science in bacteriology which she earned in 1972. She got married Steven Staal in 1971 and in 1972 she earned her Ph.D. and was named the Woman Graduate of the Year at University of California, Los Angeles (UCLA). She did her post-doctorate work at the University of California, San Diego, where she would continue to research. In 1973 her husband, a medical doctor, began working at the National Institutes of Health (NIH) in Bethesda as their Managing Director, so Flossie joined him there and got a job at Robert Gallo’s lab in the National Cancer Institute at NIH. Sequel to acquiring her doctorate, in 1972, Flossie Wong-Staal undertook postdoctoral research at the University of California, San Diego (UCSD). At Robert Gallo’s institute, Wong-Staal began her research into retroviruses. The research conducted in the institute focused on viruses that caused cancer in animals, and how those viruses affected cells. Their work on oncogenes in animals led Flossie to be the first to find oncogenes in humans. Flossie quickly rose to a leadership position in the lab and flourished, enjoying the research that frequently led to new and exciting discoveries. In 1983, the National Cancer Institute (NCI) lab and the Pasteur Institute in Paris separately isolated and identified the Human Immunodeficiency Virus (HIV). 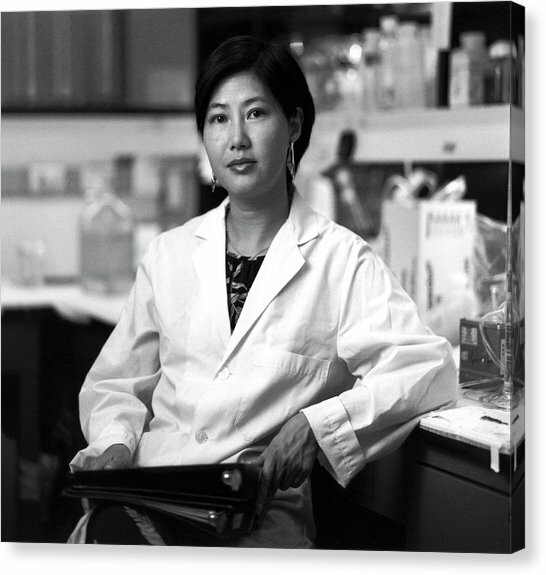 In 1984, Flossie Wong-Staal became the first to clone and map the genes of HIV. This was significant in allowing for the development of HIV blood tests. In 1985, she was divorced but kept her hyphenated name. In 1990 a team of researchers led by Wong-Staal studied the effects that the Tat protein within the viral strain HIV-1 would have on the growth of cells found within Kaposi’s sarcoma lesions commonly found in AIDS patients. The team of researchers performed tests on a variety of cells that carried the tat protein and observed the rate of cell proliferation in cells infected by HIV-1 and the control, a culture of healthy human endothelial cells. Wong-Staal used a type of cellular analysis known as radio immune-precipitation in order to detect the presence of KS lesions in cells with varying amounts of the tat protein. The results of these tests showed that the amount of that protein within a cell infected by HIV-1 is directly correlated to the amount of KS lesions a patient may have. These findings were essential in developing new treatments for HIV/AIDS patients who suffer from these dangerous lesions. The same year, Flossie Wong-Staal moved from National Cancer Institute (NCI) to the University of California, San Diego (UCSD). Wong-Staal continued her research into HIV and AIDS at UCSD. In 1994 she was named as chairman of UCSD’s newly created Center for AIDS Research. In that same year, Wong-Staal was elected to the Institute of Medicine of the U.S. National Academies. Wong-Staal’s research in 1990, focused on gene therapy, using a Ribozyme ‘molecular knife’ to repress HIV in stem cells. The protocol she developed was the second to be funded by the United States government. In her quest to find treatments, vaccines, and cures by various methods, she retired from the University of California, San Diego (UCSD) in 2002 and now holds the title of Professor Emeritus. She then joined Immusol, a biopharmaceutical company that she co-founded while she was at the University of California, San Diego (UCSD), as Chief Scientific Officer. Recognizing the need for improved drugs for Hepatitis C Virus (HCV), she transitioned Immusol to a Hepatitis C Virus (HCV) therapeutics focus and renamed it iTherX Pharmaceuticals to reflect this. The dedication and impeccable inventions of Flossie Wong-Staal made her a widely respected researcher. Her publications were once found to be the most-cited by female researchers in the 1980s. She was named the top woman researcher of the 1980s by the Institute for Scientific Information. In 2002, she was named by ‘Discover’ Magazine as one of the fifty most extraordinary women scientists. ‘The Daily Telegraph’ in 2007 listed Dr. Flossie Wong-Staal as number thirty-two (#32) of the ‘Top 100 Living Geniuses’. She remains as a Research Professor of Medicine at UCSD. 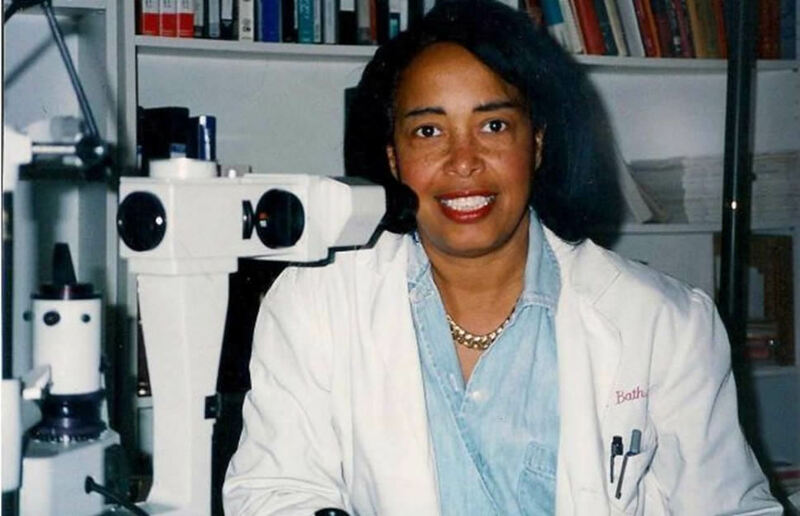 Patricia Era Bath, a prominent ophthalmologist, and innovative research and laser scientist, is the first African American woman physician to receive a patent for a medical invention. Born on November 4, 1942, in Harlem, New York to Rupert Bath, a Trinidadian immigrant and the first black motorman in the New York City subway system, and Gladys Rupert, a domestic worker. In 1959 while in high school at Charles Evans Hughes, she received a grant from the National Science Foundation to attend the Summer Institute in Biomedical Science at Yeshiva University. There, she studied the relationship between stress, nutrition, and cancer. In 1964, Bath graduated from Hunter College in New York City with a B.S. in chemistry. Four years later, she received her medical degree from Howard University Medical School in Washington, D.C. She has four patents to her name and founded the non-profit American Institute for the Prevention of Blindness in Washington, D.C.
Bath married and had a daughter, Erika in 1972. While motherhood became her priority, she also managed to complete a fellowship in corneal transplantation and keratoprosthesis (replacing the human cornea with an artificial one). 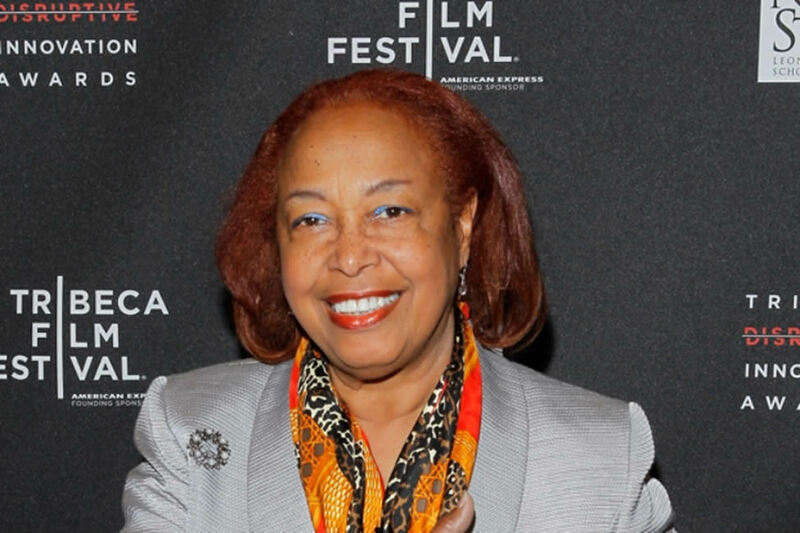 Patricia Era Bath’s dedication to a life in medicine began in childhood. She was inspired by Dr. Albert Schweitzer’s service to lepers in the Congo. The start of Bath’s medical career has been one that broke many racial and gender grounds. From 1970 to 1973, she completed her training at New York University School of Medicine as the first African American resident in ophthalmology. While a young intern at Harlem Hospital and Columbia University, Bath noticed the contrast between the eye clinic of Harlem where half of the patients were visually impaired or blind in Columbia, where only a few patients suffered from blindness. Because of this, Bath conducted a study and found that blindness among blacks was high compared to the white due to lack of proper eye care facilities in black communities. In an attempt to remedy this alarming problem, she proposed a new worldwide system known as community ophthalmology in which trained eye care volunteers visit senior centers and day care programs to test the vision and screen for cataracts, glaucoma, and other serious eye conditions. Through this community outreach program, underserved populations whose eye conditions would have gone untreated have a better chance to prevent blindness. She reached the conclusion that the high prevalence of blindness among blacks was due to lack of access to ophthalmic care. As a result, she proposed a new discipline, known as community ophthalmology, which is now operative worldwide. Community ophthalmology combines aspects of public health, community medicine, and clinical ophthalmology to offer primary care to underserved populations. Volunteers trained as eye workers visit senior centers and daycare programs to test vision and screen for cataracts, glaucoma, and other threatening eye conditions. This outreach has saved the sight of thousands whose problems would have gone undiagnosed and untreated. By identifying children who need eyeglasses, the volunteers give these children a better chance for success in school. Bath was also instrumental in bringing ophthalmic surgical services to Harlem Hospital’s Eye Clinic, which did not perform eye surgery in 1968. She persuaded her professors at Columbia to operate on blind patients for free, and she volunteered as an assistant surgeon. The first major eye operation at Harlem Hospital was performed in 1970 as a result of her efforts. Bath joined the faculty of UCLA and Charles R. Drew University in 1974 as an assistant professor of surgery (Drew) and ophthalmology (UCLA). The following year she became the first woman faculty member in the Department of Ophthalmology at UCLA’s Jules Stein Eye Institute. As she notes, when she became the first woman faculty in the department, she was offered an office “in the basement next to the lab animals.” She refused the spot. “I didn’t say it was racist or sexist. I said it was inappropriate and succeeded in getting acceptable office space. I decided I was just going to do my work.” By 1983 she was chair of the ophthalmology residency training program at Drew-UCLA, the first woman in the USA to hold such position. Despite university policies extolling equality and condemning discrimination, Professor Bath experienced numerous instances of sexism and racism throughout her tenure at both UCLA and Drew. Determined that her research will not be obstructed by the “glass ceilings,” she took her research abroad to Europe. Free at last from the toxic constraints of sexism and racism her research was accepted on its merits at the Laser Medical Center of Berlin, West Germany, the Rothschild Eye Institute of Paris, France, and the Loughborough Institute of Technology, England. At those institutions, she achieved her “personal best” in research and laser science, the fruits of which are evidenced by her laser patents on eye surgery. Bath’s work and interests, however, have always gone beyond the confines of the university. In 1977, she and three other colleagues founded the American Institute for the Prevention of Blindness, an organization whose mission is to protect, preserve, and restore the gift of sight. The AIPB is based on the principle that eyesight is a basic human right and that primary eye care must be made available to all people, everywhere, regardless of their economic status. Much of the work of the AIPB is done through ophthalmic assistants, who are trained in programs at major universities. The institute supports global initiatives to provide newborn infants with protective anti-infection eye drops, to ensure that children who are malnourished receive vitamin A supplements essential for vision and to vaccinate children against diseases (such as measles) that can lead to blindness. As director of AIPB, Bath has traveled widely. On these travels, she has performed surgery, taught new medical techniques, donated equipment, lectured, met with colleagues, and witnessed the disparity in health services available in industrial and developing countries. Dr. Bath is also a laser scientist and inventor. Her interest, experience, and research on cataracts lead to her invention of a new device and method to remove cataracts—the laserphaco probe. When she first conceived of the device in 1981, her idea was more advanced than the technology available at the time. It took her nearly five years to complete the research and testing needed to make it work and apply for a patent. Today the device is used worldwide. With the keratoprosthesis device, Dr. Bath could recover the sight of several individuals who had been blind for over 30 years. In 1993, Bath retired from UCLA Medical Center and was appointed to the honorary medical staff. Since then, she has been an advocate of telemedicine; the use of electronic communication to provide medical services to remote areas where health care is limited. 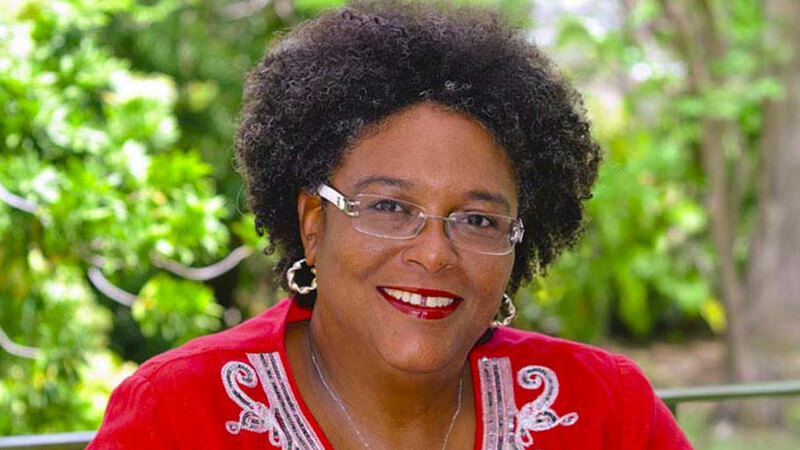 She has held positions in telemedicine at Howard University and St. George’s University in Grenada. Nigerian female footballer, Asisat Lamina Oshoala has proven a point that where there is determination, commitment, hard work, focus etc., gender is not a barrier to personal achievement. Born on 9 October 1994, at Ikorodu, a Lagos sub-bob. 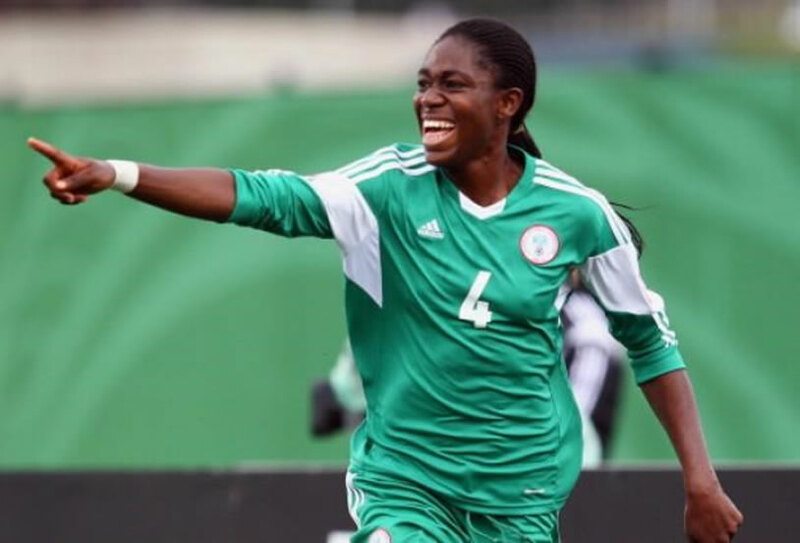 Oshoala attended secondary school education at Aunty Ayo International School in Lagos and graduated in 2009. Oshoala’s football carrier started with FC ROBO in Ikorodu, Lagos Nigeria, where she was between 2009-2013. She left Lagos for Port Harcourt, where she laced her boot for Rivers Angels between 2013-2014. As it is said, a good product is worthy of export. This is typical with the athletically built Oshoala. The 2014 FIFA U-20 Women’s World Cup was the platform Oshoala needed to introduce herself to the female football fans globally. At the competition, she actually shone like an emerging star. She was the highest goal scorer with seven (7) goals in that edition and consequently named the best player of the tournament. After the 2014 FIFA U-20 Women’s World Cup, European football scouts had noticed Oshoala. The year 2015 was for Oshoala. By 23 January 2015, Oshoala had joined Liverpool Ladies. Record has it that Oshoala was the first female African footballer to play in the Women’s Super League when she signed for Liverpool. A good product markets itself, as it is said, Oshoala’s stay in Liverpool was short-lived as, another equally good England female football team, Arsenal FC located her. January 2016 Liverpool reported that a transfer bid from Arsenal Ladies activated the release clause in Oshoala’s contract and that she was discussing personal terms with the London club services. Yes, she once again moved on to Arsenal in her football career. There is a need to add this part of Oshoala becoming a celebrated female football to this write-up. It was Oshoala herself who narrated that her parents initially did not support her chosen career of being a footballer, especially when it comes to abandoning her academic pursuit in preference to playing football. Oshoala became part of the Nigeria’s female national football team, the Super Falcons, she was named best player and second top goal-scorer with the female national team who won the 2014 African Women Championship. Oshoala is ranked top amongst the Nigerian female professional footballers abroad, she currently plays for Chinese side Dalian Quanjian F.C. in the Chinese Women’s Super League as a forward. 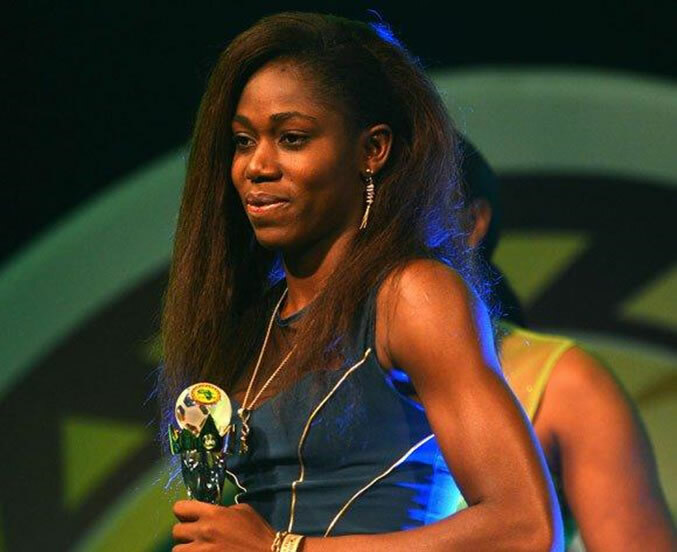 Oshoala as a female professional footballer has won many awards. Below is the list of some of the awards she has won. Golden Ball award for best player and second top goal scorer (four goals) with the Super Falcons team who won the 2014 African Women’s Championship. Oshoala, a living example of “girls you can get to the top if you so desire”. No mountain is too high to climb as Oshoala did! Tammy Duckworth is the first disabled female veteran to be elected to the U.S. House of Representatives and the Senate, as well as the second female Asian-American senator. Ladda Tammy Duckworth was born on March 12, 1968, in Bangkok, Thailand, to a mother of Chinese heritage and a father of British descent. Because her father did refugee work for the United Nations, Duckworth’s childhood took place against varied backdrops—spanning Thailand, Indonesia, Singapore, Cambodia, and Hawaii. Duckworth—along with her mother, Lamai, and her father, Franklin—moved to Hawaii as a teenager. After high school, Duckworth earned her undergraduate degree at the University of Hawaii. Afterward, she obtained her Master of Arts in international affairs at George Washington University in Washington, D.C. In pursuit of yet more higher education, Duckworth then relocated to Illinois, where she enrolled in a political science Ph.D. program at Northern Illinois University. While attending NIU, Duckworth enrolled in the Reserve Officers’ Training Corps with the Illinois Army National Guard. Trained as a Blackhawk pilot, in 2004 Duckworth left NIU when she was deployed to Iraq. In Iraq, Duckworth flew Operation Iraqi Freedom combat missions until her helicopter was struck by a rocket-propelled grenade in the autumn of 2004. The explosion took both of Duckworth’s legs and robbed her of full function in her right arm. Still believing in the worthiness of her mission amid questions of whether she felt her sacrifice was for naught, Duckworth responded, “I was hurt in service for my country. I was proud to go. It was my duty as a soldier to go. And I would go tomorrow.” She did, however, express frustration that U.S. policymakers were failing to match the sacrifices of American soldiers. 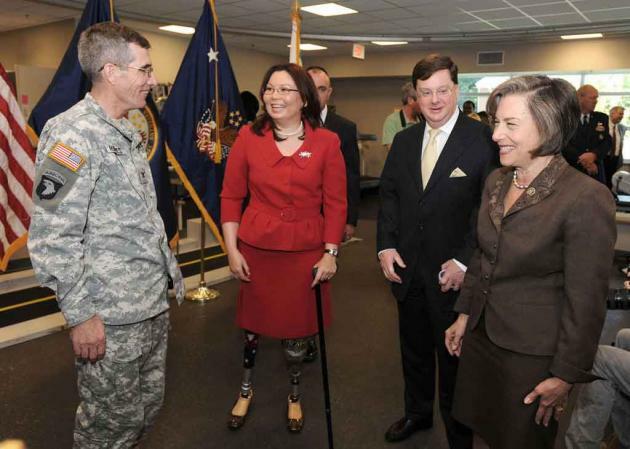 Following her injuries, Duckworth was promoted to major and awarded the Purple Heart. During her year’s recovery time at the Walter Reed Army Medical Center, she became an activist, advocating for better medical care for wounded veterans and their families. Duckworth presented her impassioned views to Congress, testifying on two separate occasions. Tammy Duckworth’s activism led her to pursue a political career after her recovery. In 2006 she ran for Congress but lost by a narrow margin. Instead, she took an appointment as director of the Illinois Department of Veterans’ Affairs. In this role, she worked toward developing an incentive program that would give employers a tax credit for hiring war veterans. She also initiated programs that would provide veterans and their families with better mental support, health care and housing resources. After President Barack Obama was elected, he chose Duckworth as his assistant secretary for public and intergovernmental affairs in the U.S. Department of Veterans Affairs. In her new role, Duckworth focused largely on putting a stop to the cycle of homeless veterans. She also developed resources especially tailored to the unique needs of female veterans. In 2012, Duckworth took a second shot at a seat in Congress, as a Democrat representing Illinois, and won. Her victory was twofold: Not only did Duckworth now have the platform to advance her political agenda, but she also became a living example for fellow female veterans, as the first disabled woman ever to be elected to the U.S. House of Representatives. Prior to her injuries, Duckworth married Major Bryan Bowlsbey of the Illinois Army National Guard. She announced her retirement from the military in October 2014, shortly before giving birth to a daughter. A few weeks later, the senator penned an op-ed piece in which she pushed for expanded benefits for parental leave. Noting that she was among the lucky ones who would be able to enjoy paid time off while caring for a newborn, she cited the FAMILY Act, proposed by New York Senator Kirsten Gillibrand, and the Child Care for Working Families Act, from Washington’s Patty Murray, as examples of legislation that would help people balance the responsibilities of parenting and their careers. Over the years, women have been discouraged from venturing into male stereotyped jobs or careers, and oftentimes chocked out of the passion or even frowned at. This trend has caused many women to withdraw into a regular career comfort zone, out of the fear of being perceived as different. However, with the emergence of female trailblazers who have gone ahead to chart the course for others, other women are beginning to emerge from their hiding places like snails from their shells, sweeping a media frenzy across the globe. One of such exceptional women is Salma El Majidi, who has made news in the Arab World with her decision to take up a career in a male-dominated terrain. El Majidi the first Arab and Sudanese woman to coach a men’s football team in the Arab world. As the story, El Majidi crosses filters into the ears of many, women across the world are encouraged that their counterparts across the MENA region are beginning to make waves around the world. It is obvious that with other trailblazers from the region, such as; Captain Nevin Darwish who became the first Egyptian-Arab female to fly the Airbus 380, and Shadia Bseiso – first Arab woman to be signed into the World Wrestling Entertainment (WWE) – women in MENA are gradually moving beyond the boundaries of stereotype to let the world know that Arab women have a better place in future. Yes! things are beginning to turn out well for them and it is also an achievement to the overall gender equality drive to women and women supporters in the world. El Majidi is the daughter of a retired policeman who fell in love with football when she was sixteen. She often watched her younger brother’s school team being coached and was thrilled by the coach’s instructions, his moves, and how he placed the marker cones at practice sessions. After each training session, she made sure to engage in a discussion with the coach about the techniques he used to coach the boys – learning from him. The coach noticed the passion she had for the job and after several discussions with her, he went ahead to employ her to work with him. Salma was zealous about her job, although a graduate of Accounts and Management Studies from Al Nasr Technical College, she made sure she convinced her parents and family to allow her fulfill her dreams. Coming from a traditional family, it was a challenge for her to defend her decision and prove herself to her relatives, but as time went by, the result of her great talent began to show itself and members of her family soon realized that she was serious about her decision and was ready to make something out of it. Salma is 27 years old and from a part of Arab where it is believed that a woman’s role is confined only to her home. And not only that, it is also obvious that this ideology has crept into most career fields including the female football teams. It is also important to point clearly that there is no legal ban on women’s football in Sudan, but a conservative society coupled with the Islamist leanings of the government have left it in the shadows, making football a distant dream for most of the women. 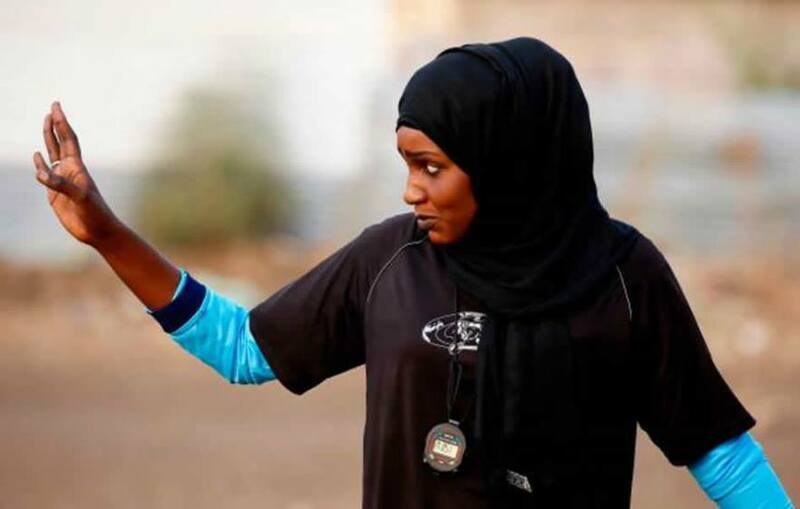 However, in the midst of all these, while the social beliefs have mostly discouraged women in Sudan from pursuing Football as a career, and while others are still struggling to break free from certain barriers in order to get to a common level, Salma who has been determined to succeed went around it to become a football coach for an all-male team. She was recently acknowledged by FIFA as the first Arab and Sudanese woman to coach a men’s football team, prior to this recognition, in 2015, she was noted in BBC Arabic ‘s 100 inspirational women of the year. She currently serves as the pioneer coach of the Al Nasr Omdurman football club in Sudan and holds the African “B” badge in coaching, which gives her opportunity to coach any first league team across the continent. She hopes to coach an international football club someday. In recent years, there have been records of elected young persons into prominent leadership positions in countries around the world, such as therecent ex-president of the United States, President, Barack Obama who ruled the country at age 42 and Emmanuel Macron, the current president of France, who was elected in May 2017.at the age of 40. Youthful leadership which is the “in thing” in many political scenes across the globe, is gradually invading the political scene of Africa without putting out the women. 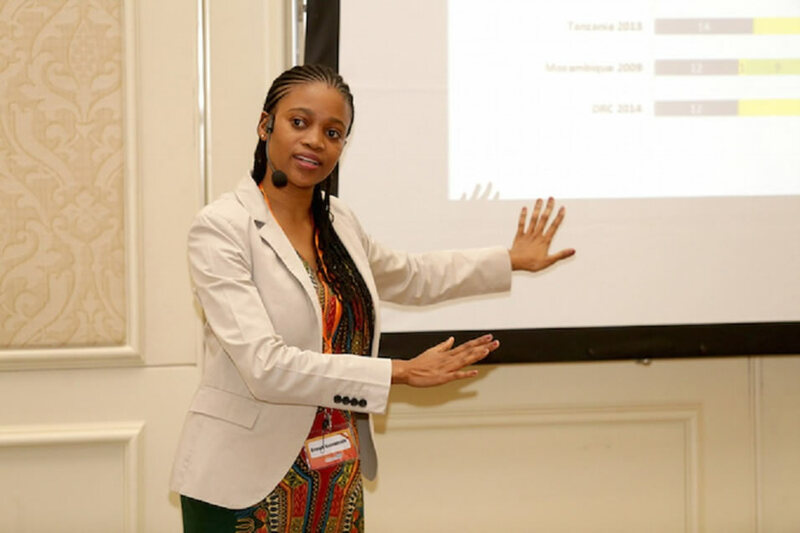 On the Trailblazer category for this week, we celebrate the young fresh flower in the political scene of Botswana who is no other person than Ms. BogoloKenewendo, the newly appointed Minister for Investment, Trade and Industry Ministry. Gender inequality is evidently being worked on but there is still too much to be done. So we do not hesitate to celebrate unique stories like that of BogoloKenewendo, as a way of pushing for gender equality in the world. While we celebrate the matriarchs who have gone ahead to confirm the statement that says “what a man can do a woman will do better”, we also commend our young and emerging diamonds who are on the scene, making way for the next generation. So that their stories can serve as a gear to motivate other women,that aresimilarly blazing the trail of leadership. Bogolo is a woman in her very early 30’s who hails from Motopi, a little village in Botswana. She was raised in Botswana and she had her early education there. She is an alumnus of the University of Botswana, where she graduated with a Bachelor of Arts in Economics, after her Bachelor’s degree, she moved to Brighton, England to obtain an MSc in International Economics from the University of Sussex being a recipient of a prestigious Chevening Scholarship in 2012. Passionate about her profession, she worked as an economic consultant at Econsult Botswana. Bologo is a trailblazer, who is passionate about what she envisions, she stands as a driver of development in areas like poverty eradication, reducing inequalities and empowering women and youth. In the course of her career, she lived and worked as a trade economist at the ministry of trade and industry in Ghana. Bogolo started to steal the world’s attention when she became the youngest member of parliament in Botswana in 2016 being appointed by the former president of the country, Ian Khama. Her uniqueness makes her eligible for authentic positions and she is always the best candidate for the job, having handled several high-level positions and projects in Botswana. In September 2009 Bogolo was one of two Botswana youth delegates at the 64th Session of the United Nations General Assembly and was nominated to present a statement of African youth to the Secretary-General of the United Nations. She has been privileged to partake of prestigious programmes including the Foreign and Commonwealth Office International Leaders Programme in 2016, A variation of the US President Obama’s YALI for Young Women Leaders in 2011. Also in 2011, she was part of the young African women leaders’ forum which was hosted by Michelle Obama. The forum inspired her to establish MolayaKgosi Trust, a women leadership and mentorship programme which aimed at mentoring and exposing young women to experienced and successful women in this country. She was also part of the former president Ian Khama’s Private-Public Dialogue structure, the High-Level Consultative Council which is a structure aimed at addressing the challenges of the private sector in Botswana. And the list is numerous. Recently, she became the first youngest Minister ever appointed in Botswana’s cabinet, a position that gladdens the heart of many African who look forward to the replication of such development in other African states. Still blazing the trail, Bogolo continues to shine the light on Youth Leadership, on the African continent.